Rho-kinase (ROCK) belongs to the AGC (protein kinase A/protein kinase G/protein kinase C, PKA/PKG/PKC) family of serine/threonine kinases and is a major downstream effector of small GTPase RhoA. Rho-kinase is involved in a wide range of fundamental cellular functions such as contraction, adhesion, migration, and proliferation. Two ROCK isoforms, ROCK1 and ROCK2, are assumed to be functionally redundant, based largely on the major common activators, the high degree of homology within the kinase domain, and studies from overexpression with kinase constructs and chemical inhibitors (e.g., Y27632 and fasudil), which inhibit both ROCK1 and ROCK2. Gene targeting and RNA interference approaches allow further dissection of distinct cellular, physiologic, and pathophysiologic functions of the two ROCK isoforms. This review focuses on the current understanding of ROCK isoform biology, with a particular emphasis on their functions in mouse development and the pathogenesis of heart failure. 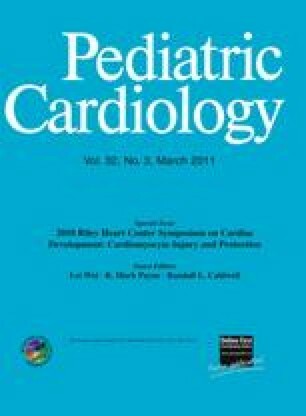 This work was supported by the Riley Children’s Foundation, the Indiana University Department of Pediatrics (Cardiology), and the National Institutes of Health (NIH P01 HL085098 to LW).